Facebook has been quite the source of inspiration for me lately. In my feed are really only positive affirmations, food for thought, life affirming statements and pictures. One page, Meditation, has posted some really great stuff. The following is a question, followed by part of the response. It brought me back to therapy, where we are supposed to write down our feelings at certain times, and so often I don’t know how I feel. What I found interesting, is that many feelings are actually “covers” for other feelings. For example, boredom is rooted in anger that has been turned against one’s self. Some of you may say that boredom is rooted in depression, but we are looking much deeper than the outward expression. We are looking at the absolute root emotion to our symptoms. SOMEWHERE THERE IS THAT FEAR WHICH MAKES ME CLOSED AND HARD AND SAD AND DESPERATE AND ANGRY AND HOPELESS. IT SEEMS TO BE SO SUBTLE THAT I DON’T EVEN REALLY GET IN TOUCH WITH IT. It becomes subtle if you want to get rid of it. Then, of course, it protects itself, it hides in the deepest corners of your being. It becomes so subtle and so garbed that you cannot recognise it. It starts coming under different names. If you are very much against anger then anger will arise under a different name — it may become pride, it may become ego, it may become even a religious pride, it may become even pious. It may hide behind your virtues, it may start hiding behind your character. Then it becomes very subtle because now the label is changed. It is playing something else’s role but deep down it remains anger. I have written about the voice beneath the voice in my mind. As my inner child comes up around the time I am noticing this, I can’t help but feel that the voice I discuss is my inner child’s internalization of prior traumas. When we have been told as children, and especially as adults, that strong emotions are “bad”, that they make us less of a person, that a spiritually evolved person “shouldn’t” have those feelings, we internalize them. We create our own purgatory, where the emotions are there but not allowed expression. They have to come out somehow, some way. Lately, I have been horribly triggered into 24-hour rumination, crying, lack of self love, lack of awareness. I went down the rabbit hole, despite feeling quite “on top” of things before. I am letting these emotions of sadness come up, for with them are the voices of my inner child telling me what the root of my suffering is. It’s taking time, and it’s agonizing. I thought this morning, when sobs attempted their way out during meditation, that perhaps I need to lock myself in my room and just feel it all out, for however long it takes. If it takes a whole day of lying in bed, with myself, allowing my feelings, talking to my inner child, then so be it. 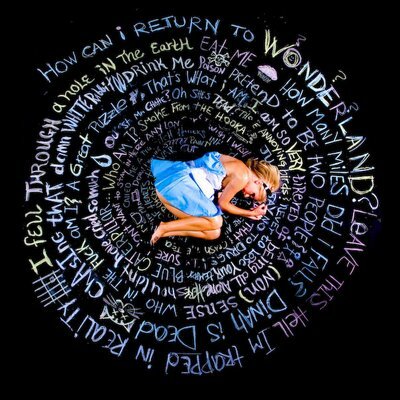 Perhaps I just need to walk hand in hand with my inner child down the rabbit hole, pointing out all of the triggers and shining light on them so they aren’t so frightening. Perhaps the rabbit hole isn’t so bad after all. This entry was posted in Eating Disorders, Emotions, Health, Meditation, Mind-Body Awareness, Relationships, Spirituality and tagged affirmation, anger, anger management, anorexia nervosa, consciousness, depression, eating disorders, emotions, inner child, meditation, psychology, psychotherapy, self help, spirituality, stress management, therapy, trauma by AmyRxBaker. Bookmark the permalink.